To view current and planned outages in Hydro service areas, please view the outage map. In our province there are two electrical service providers – Newfoundland and Labrador Hydro and Newfoundland Power. Hydro provides power directly to homes and businesses on the Great Northern Peninsula, small coastal isolated communities, and all of Labrador. 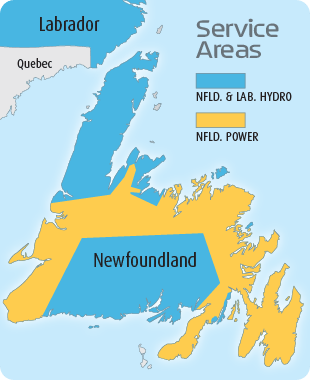 Newfoundland Power owns and manages the distribution system on the Avalon Peninsula, Burin Peninsula and other urban centres on the island of Newfoundland.